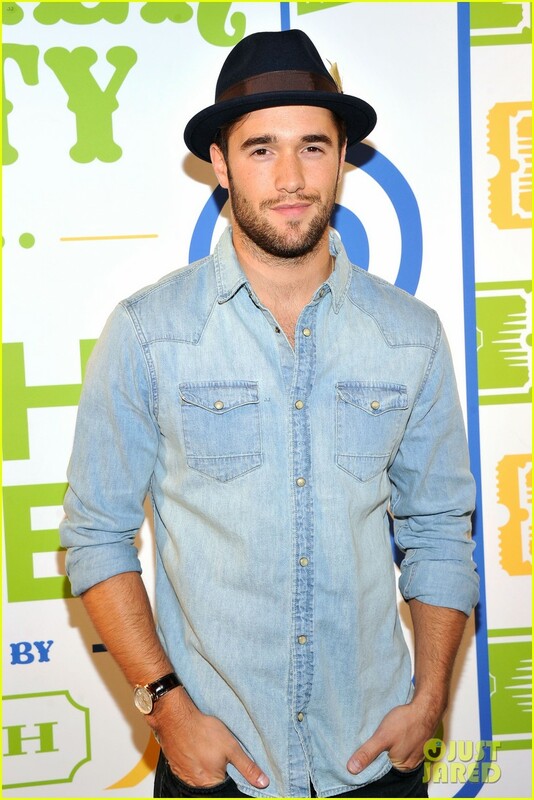 Home Actors Josh Bowman Age, Height, Bio, Is He Married, Who Is His Wife? Josh Bowman is an English actor best known for his roles in Revenge, So Undercover and Time After Time. Without a doubt, he is clearly an actor whose star is on the rise. Josh is also married to actress, Emily VanCamp, who was his costar on the hit TV show Revenge and is also widely known for her role as Sharon Carter in the MCU. Beyond his growing career and beautiful wife, there are still so many worthwhile facts to know about the actor. Learn more about Josh Bowman by reading below. Joshua Tobias Bowman was born in Berkshire, England on the 4th of March 1988 into a middle-class Jewish family. He was raised alongside his sister, Scarlett Bowman, who like him, is also an actor. Though Josh has found fame in Hollywood, Scarlett found her fame in their home country in the 90s on the show, Hollyoaks. At the moment, not much is known about Josh Bowman’s early education history but we do however know he almost had a completely different career and his fans would have never gotten to see him play Daniel Grayson on television. Up until the age of 18, he was a rugby player who later became a full-on professional. Sadly, he had his career cut short due to two shoulder dislocations in the first year of his professional contract. His contract was subsequently revoked. At the time, he played for the rugby team, Saracens F.C. With rugby no longer a feasible career option for Josh Bowman, he turned to the acting industry where he made his debut in a television show in 2007, as Dimitri in Genie in the House. He starred in two episodes of the show. His debut was not the career-making catalyst he wished for and Josh had to wait two years before he was cast in another role, this time as Zeus in the film, Myths. His next major role was back in television when he began to appear in Holby City as Scott James. He starred in nine episodes of the show, from 2009 to 2010. 2010 was not a bad year for Josh Bowman as he continued to slowly build his acting profile with the films 13Hrs and Prowl. He got the biggest role of his career thus far in 2011 when he was cast in the TV show, Revenge. Josh was cast in the main role as Daniel Grayson and appeared in all four seasons of the show, in a total of 77 episodes. His performance and popularity on the show did not go unnoticed and he was nominated for a Teen Choice Award as Best Breakout Star. It is hard to say if Revenge was his breakout role, as his appearance on the show hasn’t yet translated in a plethora of roles for him in both film and television but it was his most enduring role in a television project. Since the show ended, he has starred in a couple of other shows including Time After Time where he played Jack the Ripper. Josh also appeared in an episode of the shows Doctor Who and Lore. Apart from the Teen Choice nomination, his other recognition includes getting named as one of Screen International’s Stars of Tomorrow in 2011. He is a graduate of Lee Strasberg Institute in New York where he studied method acting. Is Josh Bowman Married? Who Is His Wife? 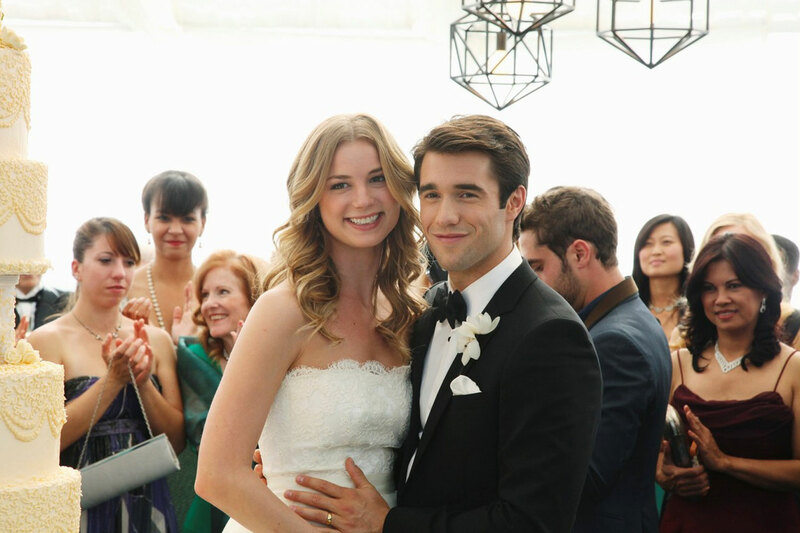 Josh Bowman is a married man and he is happily married to Emily VanCamp. The couple met on the set of Revenge as co-stars and began dating shortly after. They dated for six years before they got engaged in 2017 and got married officially in 2018. His wife, Emily VanCamp is a Canadian actress who has starred in some of the biggest films in the past decade, mostly in the Marvel Cinematic Universe. She is an accomplished actress with sufficient credits in film and television. She currently stars as the lead actor on the show, The Resident, which has been on the air since 2018. She previously had lead roles in Everwood and Brothers And Sisters. Read Also: Daniel Sharman Bio, Height, Age, Is He Dating A Girlfriend Or Gay? Josh Bowman certainly fits the stereotype of British actors with his charming and disarming looks. He stands at 6 feet and currently weighs 70 kg. While he doesn’t possess an overly athletic body, he does have a fit body and features which include brown hair and dark brown eyes.